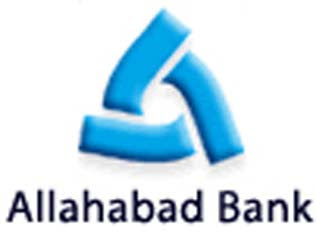 Allahabad Bank's loan book grew at 11.9% YoY and remained flat on QoQ basis. Out of the total advances portfolio, Retail grew 15.5% YoY, agri grew 19.6% YoY and SME grew 11.7% YoY. Management expects to sustain loan growth of 20%+ going forward with major focus on retail book. We have factored in loan growth of 18.5% for FY13E and 18.4% for FY14E. NIM stood at 3.17% in Q1FY13, as compared to 3.23% in Q4FY12 and 3.4% in Q1FY12 resulting from higher cost of funds coupled with decline in CASA ratio. Management has reiterated its guidance of maintaining NIMs 3%+ for FY13E. We expect NIMs to be at 3.1% for both FY13E and FY14E. Non-interest income of the bank declined 12.8% QoQ and increased 8.3% YoY to Rs 309.5 cr. Fee based income increased 15.5% YoY to Rs 239 cr in Q1FY13 and the bank showed a trading profit of Rs 55 cr vs 26 cr in Q1FY12. Management expects improvement in non-interest income in the coming quarters driven by higher recoveries. We expect non-interest income to grow at 8.5% for FY13E and 12.0% for FY14E. Gross NPA of the bank increased by 5.0% QoQ and 34.8% YoY to Rs 2,162 cr. The bank witnessed slippage ratio of 2.14% vs slippage ratio of 2.4% in Q4FY12. The bank's restructured book increased by Rs 4,777 cr and stood at around Rs 10,727 crs (9.7% of advances) from earlier 5.7% of advances. During the quarter the bank has restructured stressed accounts (SEBs worth Rs 3,100 cr of which UP Power stood at Rs 2,500 cr) and some accounts in the textile and chemical industry of ~Rs 300 cr each. Going forward Management expects restructuring of ~Rs 700-800 cr. We expect Gross NPA to be at 1.95% and 1.94% for FY13E and FY14E. Given the current challenging macro-economic scenario, the bank's strategy is to focus more on improving the asset quality rather than focus on growth and margins. We believe that the bank will continue to focus on strengthening its balance sheet. Being an attractive mid size public bank with above average credit growth, stable NIMs and comparatively healthy return ratios (RoE of ~20% and RoA of 1%+) we believe that Allahabad bank looks attractive at current levels. At CMP, Allahabad Bank is trading at 0.65x and 0.55x of its FY13E & FY14E ABV whereas on PE it is trading at 3.26x and 2.66x in FY13E and FY14E respectively. We continue to maintain BUY on the stock with a target price of Rs 205.